We’re pretty sure that Rival decided to develop this game during or after St Patrick’s Day. 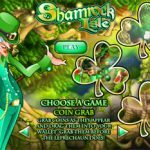 So as you could have guessed Shamrock Isle is revolving around an Irish theme and obviously you’ll find gold, leprechauns and others. The Wild in this game is the Leprechaun symbol which will substitute other symbols to create a winning combination. It also adds a 2x multiplier for your wins and expands to fill the reel to give you some extra help. There are also two scatters here. 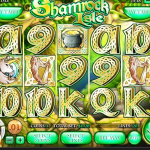 The first one is the Harp symbol and landing 3, 4 or 5 will win you 10, 20 and 125 Free Spins. Moreover your wins come with a 3x multiplier and a chance to re-trigger the free spins when landing more scatters. Grab-A-Coin – You basically have to grab coins flying around and putting them in your bag. Road Bowl – You have to roll a ball towards flags when each hit rewards you with a prize. Skittles – Throw sticks at pins and receive a prize. 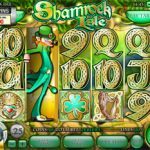 This is yet another a polished slots game by Rival. It brings lots of value and the bonus features are quite entertaining and rewarding. We certainly think you should give it a look. Ready for an adventure taken out of a children’s book? Try playing Secret Garden a 5 reel slot by Rival.